WordPress is the best blogging system in the world. If you’re still using other blogging CMS like Blogspot, or Joomla then you’re missing a lot. To build a better and awesome looking blog you must use WordPress. To know more you’re requested to read why you should choose WordPress for your blog. In this article I will show you how to install a WordPress theme on your blog. Like my previous article I will be sharing the easiest way to do that cause I like the easiness and hope you so. Installation of WordPress theme can be done in several ways. You can install a WordPress theme via FTP and you can do it via cpanel too. But as you know that today I will be sharing with you the easiest way to install WordPress theme and that is through WordPress dashboard. At first login to your WordPress dashboard. 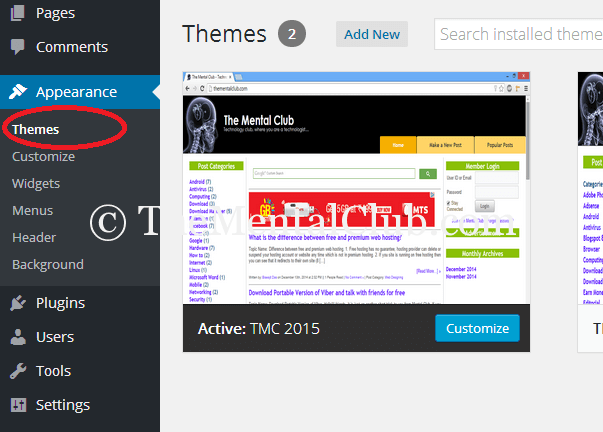 You will get some free and paid themes which you can install if you want by clicking install. If you already have downloaded the theme, then just click on upload theme. A new screen will be appearing, then just click on Browse. Select your theme zip file and hit open and install now. After installing the theme just click on activate and that’s it. So here you see that installation of WordPress theme is very easy. After installing the WordPress theme you may find this article very helpful: How to Install WordPress Plugins. 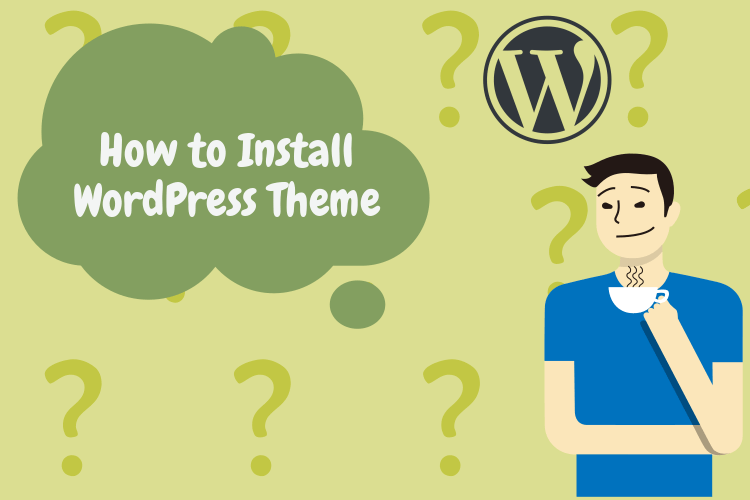 Though there are some other ways available like installing themes via FTP and cpanel by which you can also install WordPress themes. I know, like me, you also want to do your task in the most easiest way that’s why in this article I didn’t mention the FTP and cpanel method. If you want to install WordPress themes via FTP, then login to FTP server through FileZilla or other FTP clients, unzip the theme folder and upload your theme to public_html>>wp-content>>themes. Need more help? Read more about FTP upload. If you face any problem while installing a WordPress theme or if you have anything to know about how to install a WordPress theme then feel free to let me know. I will try my best to solve the issue. How to Publish Article from MS Word to WordPress Blog or Blogger Website?